Welcome to our local Enfield EN1 carpet cleaning services page, provided to you by our local branch. 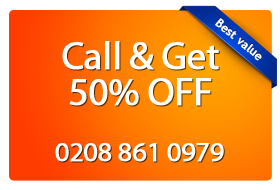 Call our local branch on 0203 390 2158 now, and get your free “satisfaction guaranteed or we re-clean for free” offer available to everyone living in Enfield! Magic Carpet Cleaning is one of the leading cleaning providers in Enfield, offering wide range of cleaning services at a great price! Our seasoned carpet cleaners in are fully vetted, insured and certified. They are experts in both dry & steam cleaning methods but they can also fix any issues with old stubborn stains and spots. To get in touch with us dial 0208 861 0979 or simply use the form below to schedule service. Yes, it’s true: we cover all the areas in Enfield (EN, N and E post codes) and we serve customers with our exceptional hot water extraction services. It starts with Arnos Grove and we cover everything up to World’s End. This Borough of North London is a highly popular destination for our carpet cleaners: some of them provide their services to the area on a daily basis. We have carpet cleaners standing by to cover and serve all the areas from Arnos Grove to World’s End. They also provide deep steam cleaning services to any EN, N and E post codes, as well as surrounding areas. 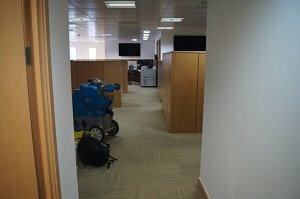 We can provide you with expert technicians who are fully trained to our industry’s standards, fully insured and fully qualified to provide carpet cleaning services as they have done for the past seven years. No job is too small or too big for our Enfield upholstery cleaners. They provide continuous upholstery cleaning services to residents and they’re doing a fantastic job at it. They also provide you with a free, satisfaction guarantee offer, meaning that should you be unhappy with the job we’ve done, we’ll send our upholstery cleaners back to your property to re-clean, for free. Our stain removal services are yet another services pack that’s highly popular in the Enfield Borough of London. We can send a fully qualified technician, fully insured and fully trained to our industry’s standards, equipped with at least 15 different types of chemical to properly remove stains from your carpets and/or upholstery items. We can also guarantee the result, based on the type of stains and the type of fabrics you have at your house or flat. However, please remember that some of the stains might be too old to be completely removed. We have a fantastic rate of success at removing stains from items in properties, so please give us a ring for a free quote and free advice, or to book our popular stains removal service. and an ever growing number of both residents and businesses in the Enfield Borough of London with E, N or NE post codes. We guarantee your satisfaction with the services we provide: if you’re unhappy with the steam cleaning services we provide, we’ll resend our technicians to your flat or house to re-clean for free. Call our local branch now on 0203 390 2158 and get local carpet cleaning services for your address in Enfield, custom tailored for your own needs: free, no obligation advice is also available by phone!